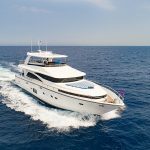 A new Custom Line 120-foot in production in Italy and expected to be delivered later this year has been sold to an Asian client by Camper & Nicholsons in collaboration with Ferretti Group’s Asia Pacific office. M/Y Cynthia, a 182-foot (55.5m) Feadship launched in 2005, listed with Merle Wood & Associates for $32 million. 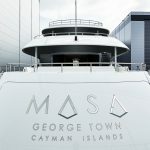 M/Y Golden Touch II, a 147-foot (45m) Sensation launched in 2006, listed with Merle Wood & Associates for $11.95 million. 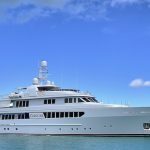 M/Y Alegria, a 145-foot (44m) Benetti launched in 2010, listed with Denison broker Alex Clarke for $14.75 million. 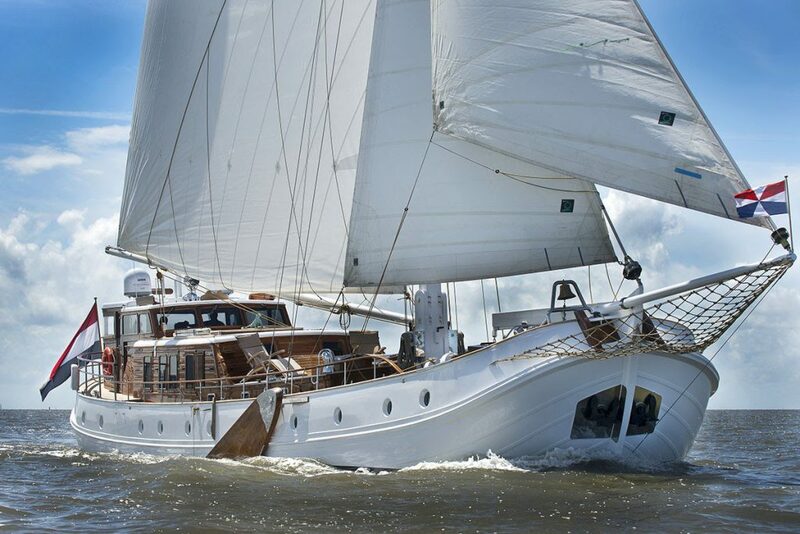 The De Vrouwe Christina, a 137.8-foot (42m) Feadship gaff-rigged motor sailer launched in 1957. 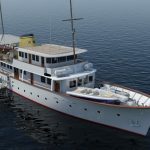 S/Y De Vrouwe Christina, a 137.8-foot (42m) Feadship gaff-rigged motor sailer launched in 1957, listed with Camper & Nicholsons broker Andrew LeBuhn for $3.45 million. M/Y K (formerly Divine), a 131-foot (40m) Palumbo launched in 2015, listed with Camper & Nicholsons brokers Marco Fodale and Tommaso Bilotta for €12.5 million. M/Y Mary P, a 122-foot (37m) Trinity sportfishing yacht launched in 2009, listed with Merle Wood & Associates broker Billy Smith for $15.5 million. M/Y Siete, a 115-foot (35m) Benetti launched in 2002, listed with IYC broker Frank Grzeszczak Jr. for $5.5 million. M/Y Moni, a 107-foot (32.6m) Vicem launched in 2013, listed with IYC broker Mark Elliott for just under $4.7 million.